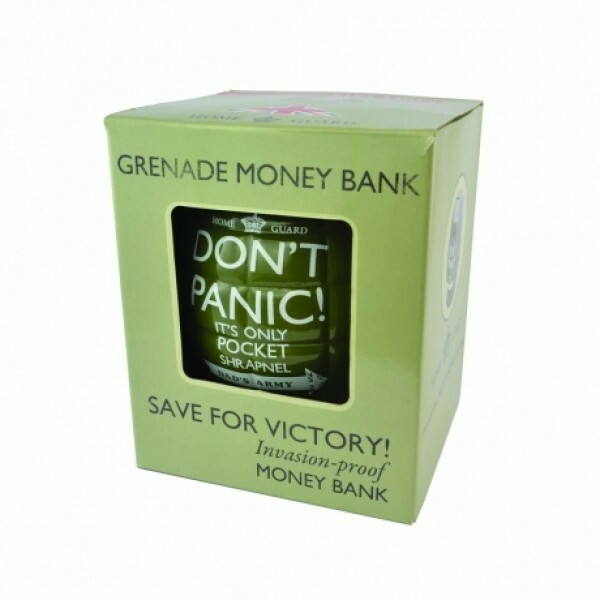 Dont Panic Its Only Pocket Shrapnel! Finding gifts for Dad or Grandad. 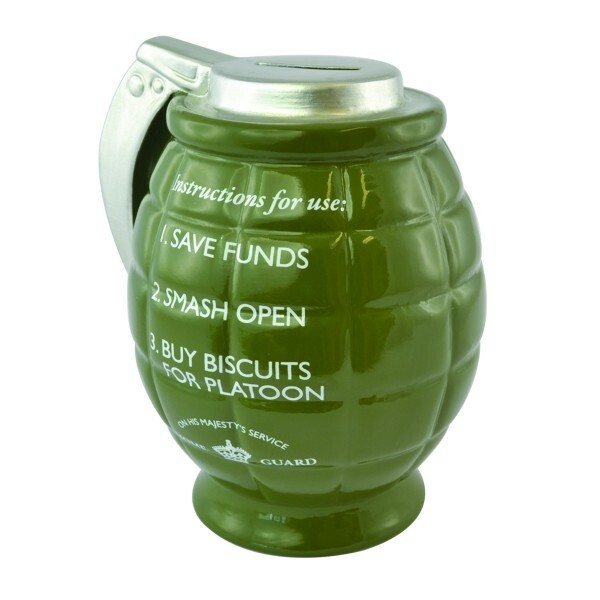 These money pots are memorable, fun and useful. To open: Smash against Enemy Tank and run away! 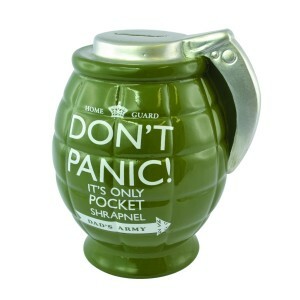 Not really, there is a bung on the bottom.